Rashid, 45, fits immigration profiling that perpetuates the department and city-wide culture of rejection: he is Pakistani and was convicted in 2001 for possessing a fake ID card; he was deported, but returned illegally in 2007 by speedboat; he overstayed 7 years before VF arranged his surrender to Immigration; he admits to working illegally to make ends meet and send money to family members who depend on him. 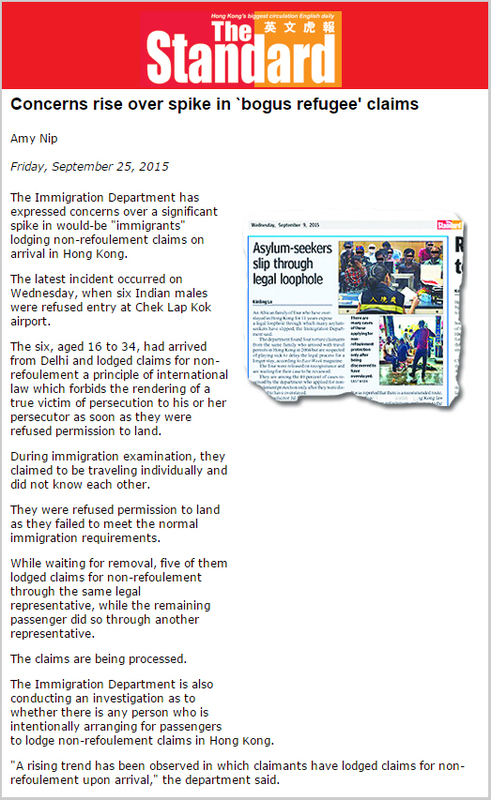 The question is: Is Rashid abusing the asylum process? When the family fled persecution and violence, Rashid came to Hong Kong, while his wife and children fled to Thailand. They were eventually recognized as refugees by the UNHCR in Bangkok and resettled to the Unites States. The heartbroken father explains that other relatives also gained refugee status in the UK and Canada. 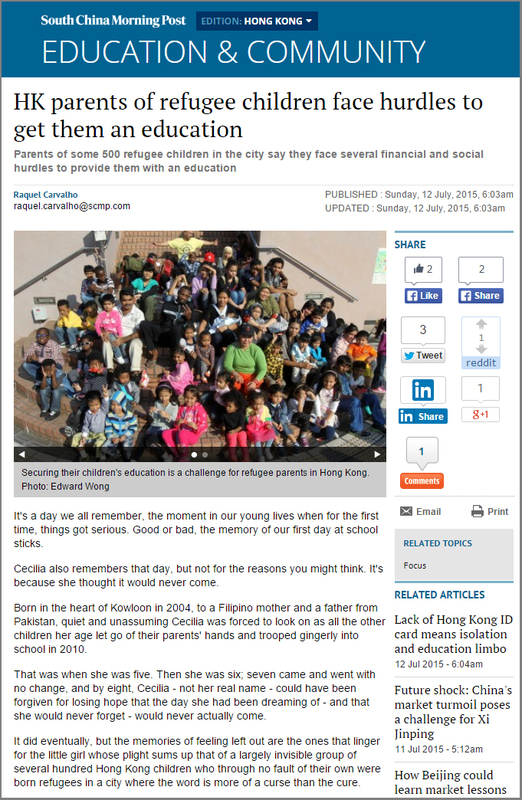 He explains that “Before there were 250 Ahmadiyya refugees in Hong Kong, including children. Now we are only 70 as many moved to other countries with the help of UNHCR, or through private sponsorship. 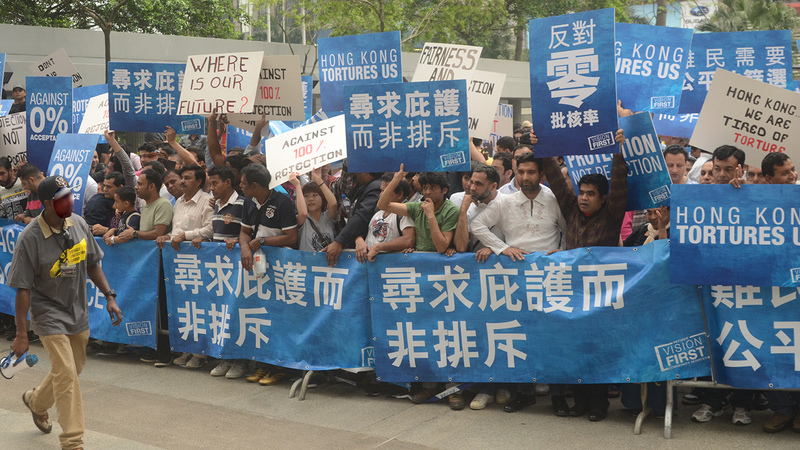 There is no future for our people in Hong Kong.” The Unified Screening Mechanism (USM) seems to have worsened their prospects. Vision First reported the case of a refugees in a wheelchair allegedly assaulted outside the premises of the service provider for refugees. While perhaps an isolated case, it nonetheless raises disturbing questions about the unfortunate securitization of refugee services. 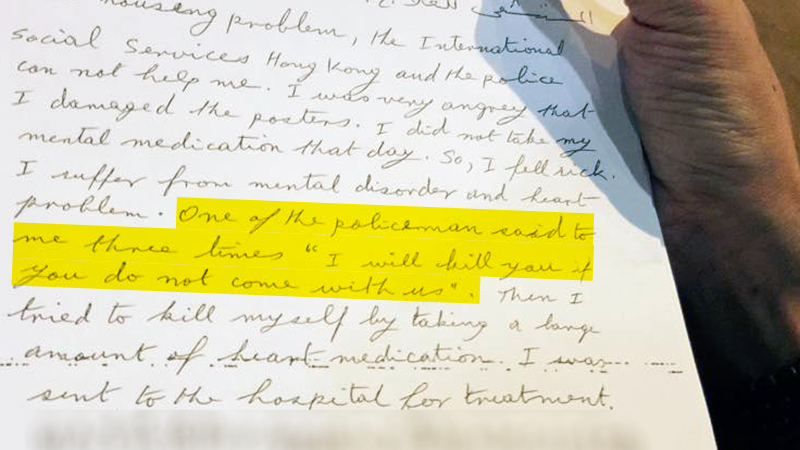 First, “I came to Hong Kong as a victim of violence and here I suffer violence again,” sighed this distraught refugee as he reported being roughed up by security guards. 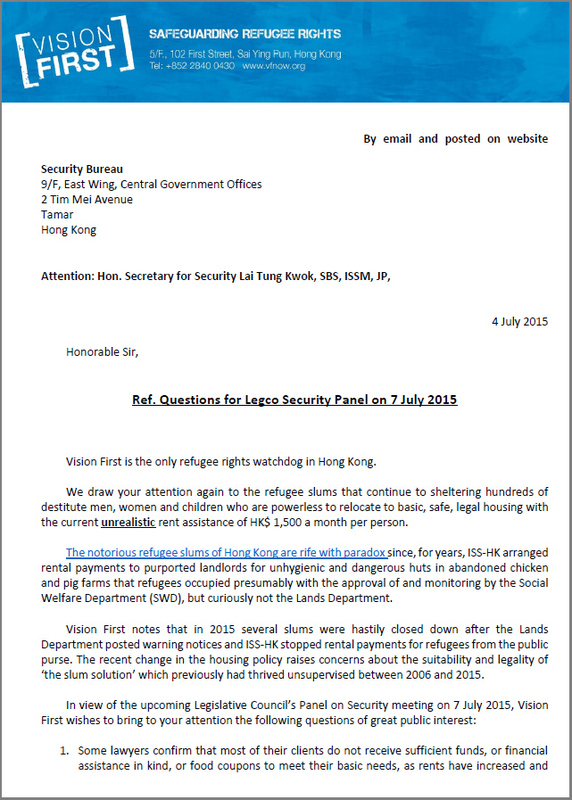 A question may be raised as to the need for such a visible display of uniformed security guards in a setting where ‘humanitarian’ services are offered to people whose motivation for fleeing abroad relates to similar displays of an ostensible monopoly of violence. This refugee’s words brings to light the harsh confinement, subjugation and control of an underclass of 10,000 refugees, as well as what appears to be an inadequate understanding of refugee vulnerability. Second, such an episode brings to light again questions about inadequate assistance. This refugee suffers medical conditions deemed worsened by his accommodation. And yet alternatives were not promptly offered. 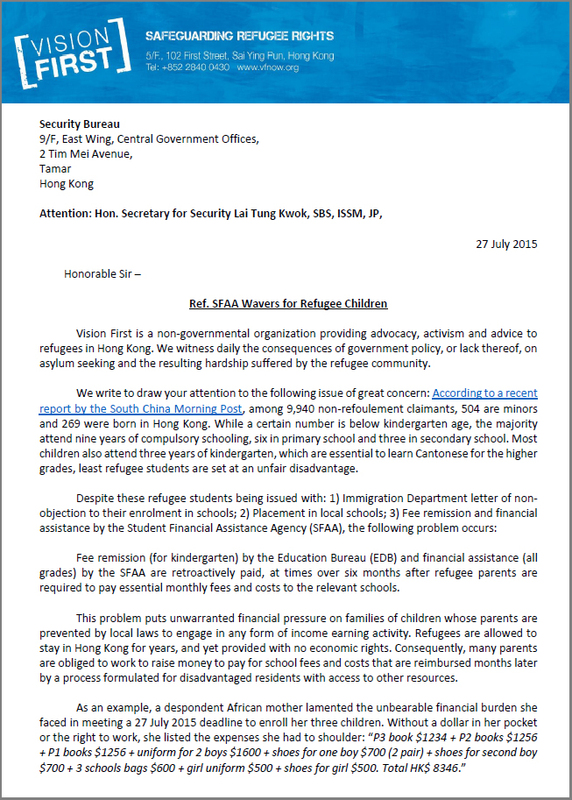 Behind the confrontations between case workers and refugees, behind the arguments over low assistance and high rent, and behind the swelling hatred stoked by the Hong Kong Government’s ‘humanitarian assistance’ lies the root of the problem. A refugee advocate interpreted such injustice, “I was told to find a room for 1500$, but my case officer knows it is impossible. If it were possible, why doesn’t he find it for me?” Arguably, the distribution of humanitarian assistance achieves the exact opposite of its stated objective. While it does little to prevent destitution, it dehumanizingly labels refugees as a burdensome, problematic and overly-demanding group that fails to appreciate the compassionate assistance and ostensible effort put in their care. His words carried wisdom gained through years of imposed hardship, “We have to cure the disease, not cure the symptoms.” Focus ought to be drawn on the general context, rather than the outcome of individual behaviour, whether it is restrained and submissive, or not. Vision First vigorously wages non-violence against social injustice, especially when sanctioned by state power in the unjust oppression of the most vulnerable in society, irrespective of immigration status. 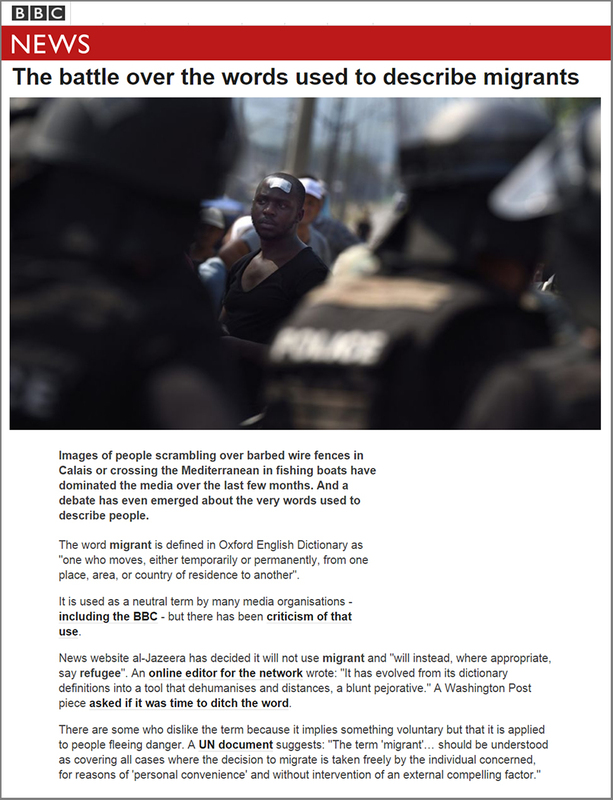 An onerous corollary is our duty to expose and eliminate any form of violence in what, as a fifth point, can be said to emerge as the ongoing securitization of refugee welfare, manifested in the slums, food distribution, detention, criminal prosecutions, and manhandling of refugees. 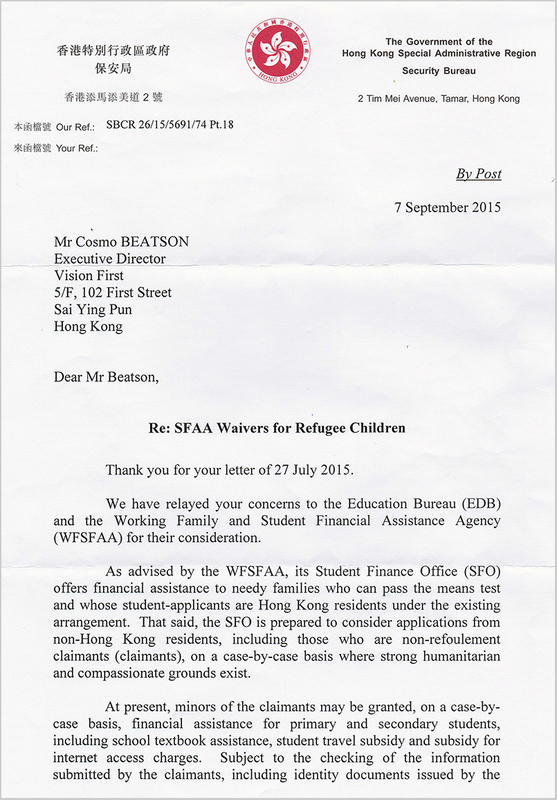 Lastly, would Social Welfare Department staff shoved and pushed protesting refugees? Would the SWD condone such unwarranted conduct by its own security guards?